In winter, the darkness surrounds us. The cold penetrates us. But can you hear the bells ringing? There is hope. 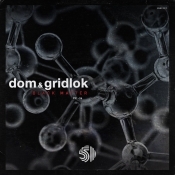 This dark anthem from big boys Dom & Gridlok punches through the winter bleak to knock you off the dance floor. AVAILABLE EXCLUSIVELY ON BEATPORT ON FEB 5TH 2019. OUT WORLDWIDE FEB 19TH.